There was an absolutely stellar interview about Mandela on radio tonight. It wasn’t on one of the mainstream press outlets, but it will be posted as a podcast, I believe. I’ll find the link and time it aired within the three hour show and link it here. The fellow who was speaking about Mandela was very even-handed, and had experience in South Africa to draw on. Like all great men, he had his flaws, but that won’t detract from his legacy. A much admired person, he was a charismatic leader and an astute politician who had considerable influence not only in South Africa, but throughout the world. But, I think, he will be most remembered for his humanity. President Barack Obama referred to him as a “profoundly good human being.” Also, world leaders who have been interviewed as soon as the news came out that he passed away described him, among other things, as genuine, gracious, warm, gentle, forgiving. His main legacy was who he was, who he touched, and what that meant to us. An inspirational man, who leaves behind an impressive and honorable legacy. May he rest in peace. The podcast is up now. It’s at the top of the page, the one for December 5, and the interview begins the show, so you don’t have to go looking for it. I just heard another quotation from Mandela I’d not heard, and I think it’s so true. “Resentment is like drinking poison, and hoping it will kill your enemy.” If anyone had reason for resentment it would be Mandela. That he escaped the temptation is inspirational. What a loss, but with that loss- the reminder to act always, as Mandela would. What a humble, wise soul- this Earth was blessed to have had him, receiving all the teachings which he passed on. 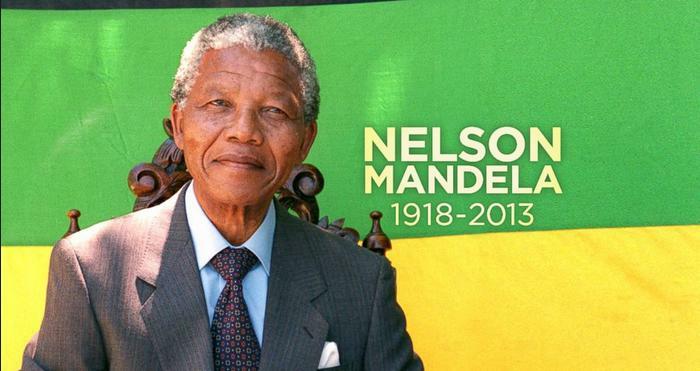 Long Live the Memory of Nelson Mandela. A very insightful podcast. Thanks for sharing, Linda. What emerges from the podcast is a multi-layered, multi-dimensional, and even a complicated man in the person of Nelson Mandela. It’s really difficult to pin him down and put him in a box, But one thing is for sure: he evolved from a radical advocating violence to a person who realized that democracy is what will work for his country. In the process, although he was incarcerated for almost 30 years, he decided to forgive his enemies and work with them. He saw this as the only way for South Africa to have a better future. And as he grew older he became the man we know of him.